There’s nothing about a doughnut that’s healthy. Absolutely nothing. But, they’re insanely good and and thereby totally worth enjoying on Chanukah. These are whole wheat, which seems antithetical to a gooey, oily dough pastry, except that I only keep whole wheat flour in the house. Even so, these doughnuts taste just as fluffy as any homemade sufganiyot. Happy Chanukah! In a large mixing bowl, combine the yeast, sugar and milk. Leave it for at least 5 minutes until it looks foamy. Mix in the eggs, vanilla and butter. Add the flour and knead until fully combined. Let the dough sit in a lightly oiled bowl, covered with plastic wrap for 1 hour. Heat at least 1-in. of oil in a frying pan on medium heat. 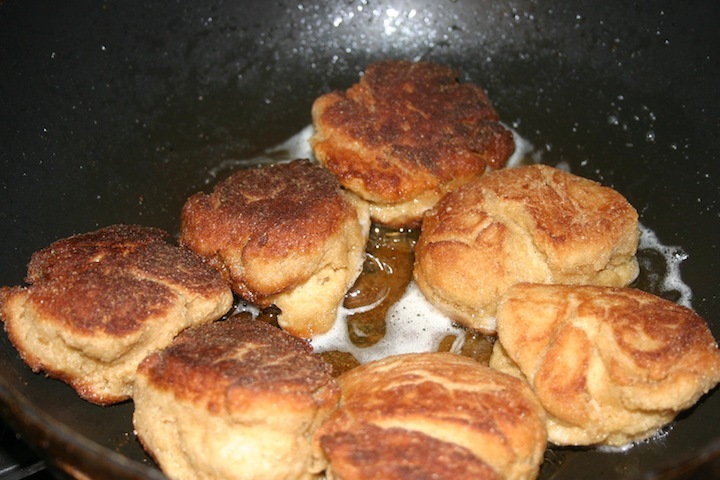 Roll dough into balls and add to pan. Flip when the bottom is brown (mine took less than 2 minutes on each side). Let cool on a towel to absorb the extra oil. 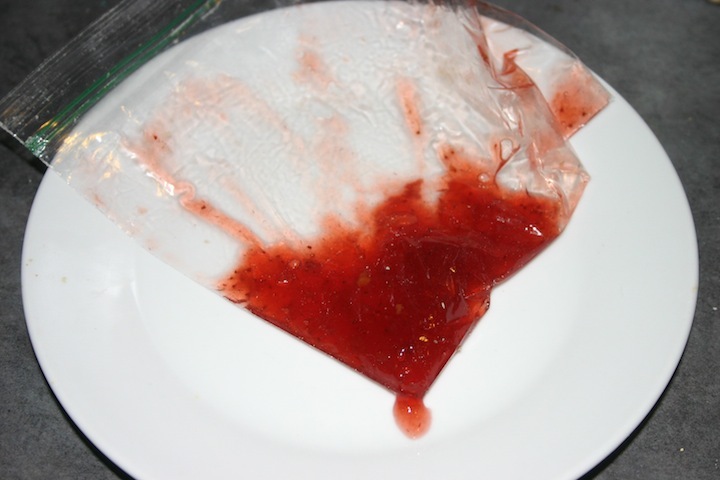 Place jelly into a sandwich baggie with a small corner cut off. Poke a hole into the side of each cooled doughnut and squeeze jelly inside. 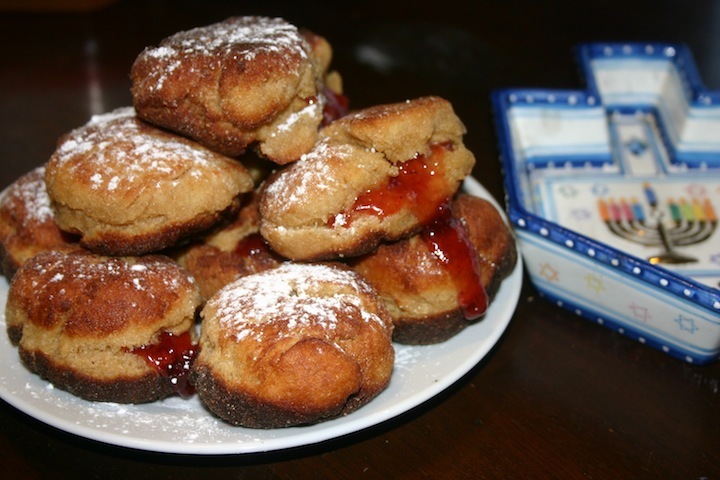 Top with powdered sugar and serve immediately. They look super yummy! I hope you’re serving at your party! Wow! Yummy! A lot of work! My kids love these! We just split them and put jelly on them. Or eat them as “rolls” – because with all whole wheat, these are the healthiest carbs my kids will eat.